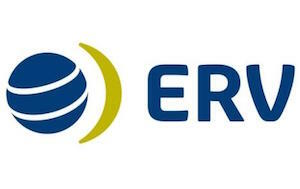 ERV is part of the Munich Re Group, one of the world’s largest reinsurers. Its UK headquarters (European Travel Insurance) is part of a network of 21 offices throughout Europe. Its products are used by some of the world’s largest travel companies, airlines, hotel chains, tour operators and many more. Over a million passengers who travelled in 2012 were covered by ERV UK. ERV also underwrites policies for companies including the Post Office. Read out review of the Post Office’s travel insurance here. 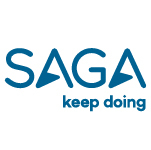 It offers a wide range of travel products, from backpacker policies to cover for pre-existing medical conditions. Budding backpackers might want to read our guide to what backpacker insurance really covers. We have also partnered with a number of insurers to give people with medical conditions fairer and cheaper travel insurance. Our groups include cover for people with heart conditions and for cancer patients. You can join any of our travel groups for free here so that you can receive our member discounts. Find out if ERV is in our list of the 10 best travel insurance policies. Leisure – This is the name of its standard single-trip and annual policies. Pre-existing medical conditions – ERV uses the Healix medical screening system, which screens for over 250 medical conditions. If you qualify it offers single and annual-trip cover with 24/7 medical assistance. Winter sports – It has three cover levels for skiiers and snowboards: rookie, adventure and pro. Cycle and triathlon – It has three levels of cover, predominately aimed at protecting cyclists. Read our cyclists guide to insurance to learn more about cover while travelling. Backpacker – Again, ERV has three levels of cover for this category: traveler (for first time backpackers), adventurer and pioneer (its most comprehensive policy, which covers over 90 activities). Go Last Minute - Designed as a simple, mobile-friendly customer journey for those buying cover just before they leave for their trip. European breakdown – Car breakdown cover with 24/7 English speaking customer service. ERV Air Crew – Cover for airline cabin and ground crew. Your policy will depend on a number of factors, such as how old you are, where you live and where you are traveling to. Obviously prices will vary depending on what ERV policy you are considering, but we’ve looked at the cost of two of its standard travel products. Annual worldwide cover for a 22-year-old gives prices for three levels of cover: £31.36, £37.63 and £59.58. The most comprehensive policy offers £15m of medical cover, £5,000 for cancellation and £2,000 for baggage. For a 40-year-old on a worldwide single trip for up to 10 days the quotes are £19.25, £29.65 and £34.27. The headline cover for the most comprehensive cover is the same as the annual policy. Find out how ERV’s cover compares with the top travel insurance companies. What do ERV customer reviews say? At present ERV is not widely used directly by UK customers, therefore customer feedback is thin on the ground. However, review sites based in other European countries show that around 40% of customers who have reviewed ERV’s products are happy with the service. What so the experts say? Independent financial researcher Defaqto has rated ERV’s policies either 2 or 3 Star. A 2 Star product “typically offers a below average range of features and benefits” and a 3 Star Rating indicates “a standard product providing an average level of features and benefits”. 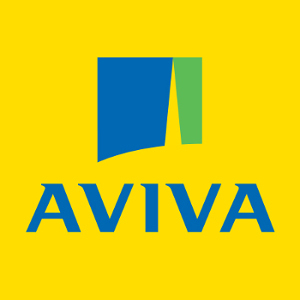 Find out if ERV is included in our guide to the best travel insurance companies.